Published in 1937, “Death on the Nile” describes an exciting adventure that Hercule Poirot gets entangled into without planning. Young, beautiful, rich, charming and her own mistress, Linnet Ridgeway seems to have it all. In addition to her looks and money, she also has brains which she employs in understanding and partly managing her late father’s business. It is only a matter of few months before she will be running the business by herself. It is no surprise that she is coveted by many. But, Linnet has not found her man yet. Her old friend Jacqueline aka Jackie asks a favour from her. While Linnet’s parents left piles of money for her when they died, Jackie’s parents left her penniless. Jackie’s boyfriend Simon has lost his job and Linnet agrees to employ him. Poirot notices Jackie and Simon, as they are celebrating the new job in a London night club, especially because of the passionate way that Jackie clings on to Simon. But, in a very short period of time, Simon dumps Jackie and marries Linnet instead. Ah well, she just seems irresistible. Generally, this should be the end of Jackie and Simon’s story. But, it isn’t. 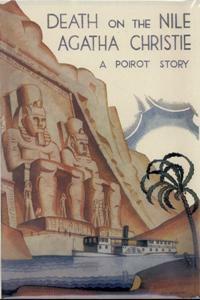 Poirot, on a holiday in Egypt, meets Mr. Simon Doyle and Linnet, who have come for their honeymoon. Poirot also witnesses a very ‘not-friendly’ encounter between Jackie and the young couple. Later Linnet confides in him that Jackie has been stalking them ever since their marriage and it is getting on her nerves. Poirot talks to Jackie and tries to convince her that her course of action will only give her pain. But, Jackie is burning up with jealousy. 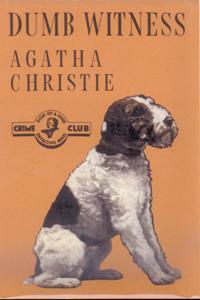 She confesses that she wants to kill Linnet and also shows Poirot a pistol that she has been carrying around. Salome Otterbourne and her daughter Rosalie: Rosalie is always in a bad mood and is intensely jealous of Linnet. In her opinion, its not fair that any one person should have such good luck. Mrs. Allerton and her son Tim. Tim has a cousin who is close acquaintance of Linnet, and between them they have cooked up some fishy scheme regarding Linnet. Andrew Pennington, who is a trustee of Linnet’s father’s money in America. He is dodgy and trying to cover up what he did with her money. He specially came to Egypt to corner Linnet when he received news about her marriage. Marie Van Schuyler, an American lady, her cousin Cornelia Robson and her nurse Miss Bowers. Cornelia’s father lost everything because of Linnet’s father and the girl is being treated very rudely by her rich cousin. Mr. Ferguson, an outspoken communist, who openly hates a rich heiress like Linnet. An Italian archaeologist, Guido Richetti. By mistake, Linnet opens a telegram addressed to him making him extensively angry. James Fanthorp, a solicitor from Linnet’s trustees in London. He suspects Andrew Pennington but refrains from saying anything. Dr. Bessner, a Central European physician. The tragedy starts when that night Jackie gets drunk and attacks Simon with her pistol. Cornelia and Mr. Fanthorp are in the room and they help in putting Jackie away with the nurse and Simon who is shot in leg with Dr. Bessner. But, in all this excitement, Jackie’s pistol is lost. Next morning, Linnet is found shot dead in her bed. While Jackie appears as the prime suspect, herself and Simon, both were out of action for the night and have iron-clad alibis. Poirot starts the investigation, and one after another, the secrets start to pop-out. Everyone on the cruise has something to hide and most of them seem to have a reason to murder Linnet. To make matters worse, two more murders follow that of Linnet as her maid Louise and later Mrs. Otterbourne are killed just when they are about to divulge some information. Eventually, we find an alcoholic, a kleptomaniac, a blackmailer, a thief and a swindler, but alas, none of them have killed Linnet. As the mystery appears to deepen, it takes all Poirot’s genius to unmask the daring and highly resourceful criminal who devised a brilliant scheme to murder Linnet. 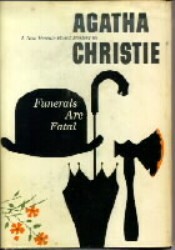 However, crime never pays and finally Poirot does reveal the murderer. Book image curtsey : Wikipedia.